Been a bit under the weather, so attempting to post a wrap up of the past fortnight. As usual, I've probably missed significant posts, awesome reviews and most of my blog visits. But I'm catching up slowly, make sure you leave the cookies out. So here is this weeks Diva Weekender. 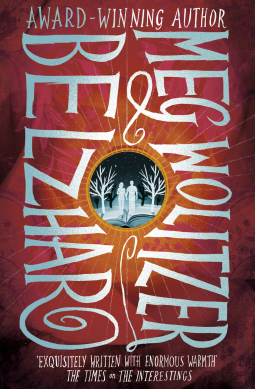 ● I'm giving away two copies of the awesome new book Belzhar by Meg Wolitzer. Check me out on Twitter as well for my retweet to win a third copy. ● Jeann snuck in again and reviewed Roomies while I wasn't looking. ● If you're a member of our Aussie YA Bloggers group, you may have noticed we've had a name change. Now if you're an Aussie and love young adult novels, we welcome all readers. Check it out and sign up. ● Remember to sign up for the Aussie Bloggers YA newsletter. ● There's an awesome new apocalyptic paranormal series being released soon, and a HUGE cover reveal to celebrate. Check out what I'm talking about here, and sign up to get involved here. ● Those Notebook Sisters have another installment of their brilliant Honest YA Covers. So incredibly funny and unique. ● Faye at The Social Potato is reading chapter two of Fifty Shades of Grey. I can't wait until she cracks open the super raunchy chapters to read aloud. ● Kate at Fictional Thoughts give us six reasons to read the Lux series. I've read them, have you? ● Chiara discusses the price of eBooks. Loved this post. ● I loved the Chely discussion at A Book so fathomless, these two are so stinking cute! ● Laura is calling for guest posts. Go and bombard her with your ideas. ● Check out Emily's bookshelf tour. Look how many she can stuff in. We book hoarders need to stick together. ● Defector Variants: Book Two by Susanne Winnacker. I recently read book one in the series Impostor and really enjoyed it. You can check out my review here. Really eager to start this one soon. With thanks to Hachette Australia. 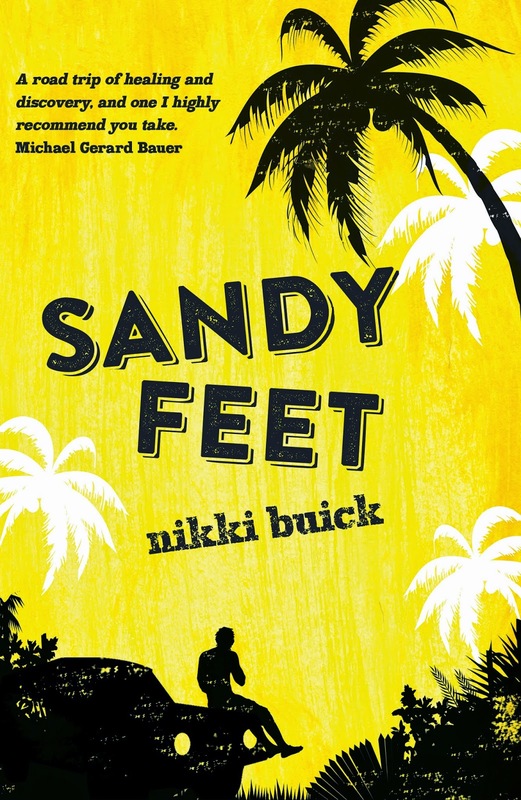 ● Sandy Feet by Nikki Buick is an emotional family road trip set in Queensland. With thanks to UQP, who are one of my favourite publishers. The quality of books they produce is incredible, strong social messages, deep and thought provoking storylines. I'm expecting big things from Sandy Feet. ● Ugly Love by Colleen Hoover. I've already read and reviewed this one, which you can find my thoughts here. Thank you to Simon and Schuster Australia. ● and Belzhar by Meg Wolitzer. I'm so excited to read this one. I was sent here because of a boy. His name was Reeve Maxfield, and I loved him and then he died, and almost a year passed and no one knew what to do with me. Oh, I'm itching to read this. A huge thank you again to Simon and Schuster Australia. What's on this weekend booknerds? I'm sad you're not feeling well, though. That's not a good idea. Stop it. I don't approve. BE BETTER AND WELL. Is it? I assumed Balthazar was just an evil character that seems to be in most books that contain demons. I'm feeling much better now, I'm putting it down to your stern talking to. I hope you have a lovely week! And I hope you feel better too. SPRING IS COMING! I wish it would get here sooner, it's positively freezing today. And you're very welcome. I keep staring lovingly at my copy too, it's just so pretty. Belzhar looks SO awesome, I can't wait to read it :) I got Sandy Feet as well, and you're right about UQP - it's something about the small publishers, because I love Text books as well. Hahahhaa we need a Book Hoarders support group, because I obviously have a serious problem. They're both incredible publishers that only seem to bring out high quality, interesting reads. I'm so excited to start Belzhar, make sure you check out my Retweet and giveaway to enter. Oh Kelly I hope you've been feeling better, I've had the flu myself and it's been terrible. It's like inevitable that we catch it at least once in winter :( Belzhar looks completely beautiful, I hope I win hehe. Great edition, enjoy all of your books! You too Jeann, the flu this year seems to be really nasty. Mine was a severe allergic reaction to something and I broke out in a horrid rash. I've still got it, but it's not as bad as it was thankfully. 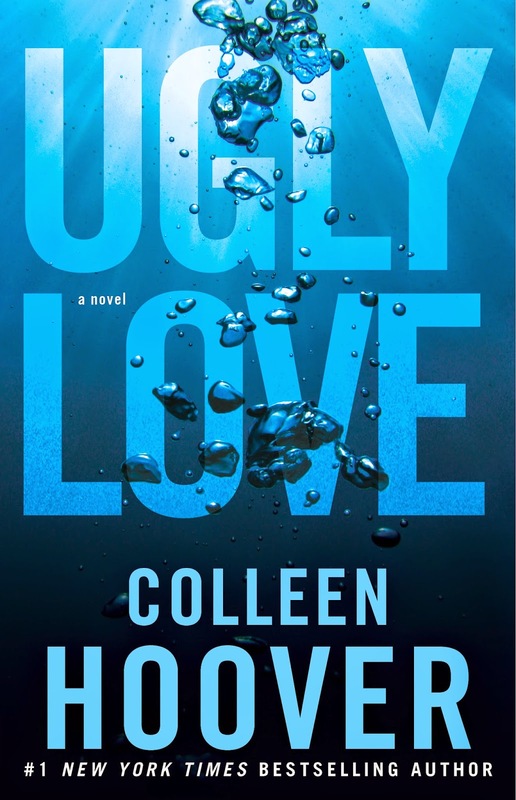 Ugly Love wasn't bad, but not Colleen Hoover's strongest work. I prefer her young adult releases than this one. Maybe it's just my aversion to new adult, but they all tend to feel more sexually based and the rest of the storyline is an afterthought. I hope you feel better Kelly! I have never read anything by Colleen Hoover, so maybe I should try one of her books? I don't know haha! I hope you enjoy your books! I was going to enter your giveaway, but then I noticed it was for AUS. booooo! Just kidding :D The cover for it looks awesome though! Colleen Hoover is incredible, but personally I only enjoy her young adult titles. If you want to try her out, I'd start with Losing Hope. It's phenomenal. Grab a copy, I'd love to see what you think of it. Don't worry about catching up, Kelly! Just take care of yourself and take a long, well-deserved rest ^_^ Even Jeann got the flu! What's happening down there in Australia?! Hope all is well, and thank you so much for linking my video! Bloody appreciate it, mate! Gosh Faye, you sound more Australian than I do. Bloody unreal mate. I think I would have preferred the flu actually. I've had a bad allergic reaction and have been scratching like a flea infested monkey. Aw I hope you are feeling better soon, Kelly! I love your new design, have I told you that? It's sah pretty and FLORAL. 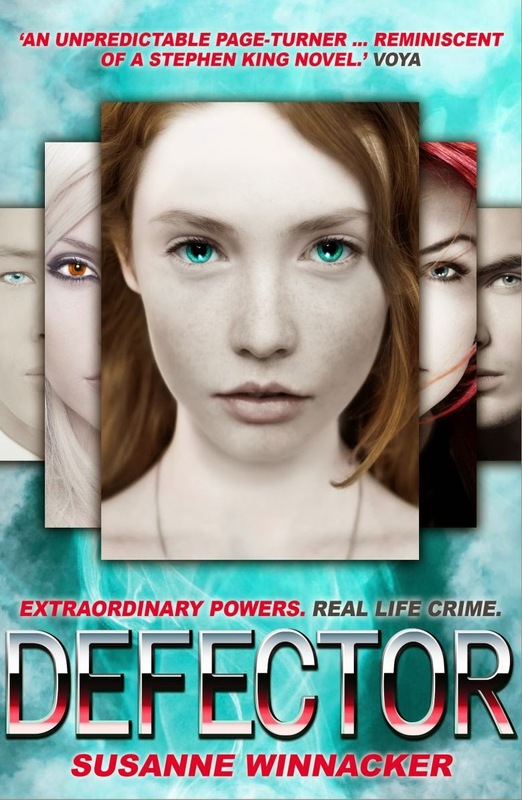 Anyhoo, I got Defector as well, and am planning on reading it soon! Thanks Melanie. I'm still undecided whether I like it or not, but it's growing on me. I actually just finished Defector and LOVED it. It blew Impostor out of the water. Can't wait to see what you think of it. It was actually a bad allergic reaction, but I'm sure I'll probably be flu ridden before winter is over, it seems to be doing the rounds lately. Thanks Joy, you're always so incredibly lovely. Again. get well soon! And happy reading! It's so much nicer than the US version, it's really lovely. I actually just finished Defector and it blew book one out of the water, how rare is that! Can't wait to see what you think of it Aimee and thanks for popping by. It's lovely to see you again poppet. Thanks Sophia, on both accounts. Hope you feel better soon, Kelly! <3 Sending many good feels your way. I adore the Aussie cover for Belzhar. Makes me wish I lived in Australia. ;D The cover of Defector keeps getting weirder and weirder the longer I look at it (-stops staring-) buuut I have yet to read the first book in the series. Anyhow, I hope you enjoy reading them all! Couldn't agree more about the cover of Defector. Impostor was the same. I really believe if the series was rebranded with less creepy looking covers, more readers would discover who incredible the series is. I just finished reading and reviewing Defector and it's even better than book one. Hope you can get around to reading it soon, would love to see what you think of it. I hope you're feeling better now, Kel, and I love the new blog design! Thanks Mands and thanks for the well wishes. I felt like I haven't seen you in ages. I'll have to step up the stalking now and keep tabs on you.